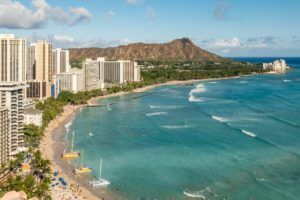 Hawaii’s top banking regulator joined the growing chorus of state leaders urging Congress to consider banking solutions for the cannabis industry. Iris Ikeda, commissioner of Hawaii’s Division of Financial Institutions, is among 13 state banking regulators who have sent a letter to congressional leaders seeking legislation that creates a safe harbor for organizations to bank cannabis businesses operating legally under state law or to entrust states with the full oversight and jurisdiction of marijuana-related activity. “With 31 – and possibly more – states allowing legal medical cannabis programs, we must find a solution to address the serious public safety concerns in having a cash-intensive industry,” Ikeda said in a news release. Banks that serve marijuana businesses – both recreational and medical – must follow a complicated patchwork of federal guidance, memos and costly compliance rules. Otherwise, they risk losing their charter. As more states legalize cannabis, regulators and lawmakers are scrambling to address the banking issue. Officials from California, Michigan, Ohio and West Virginia have floated their own solutions – but with little success. In August, California lawmakers shelved a plan that would have allowed private banks to handle the money being generated by the legal cannabis industry.